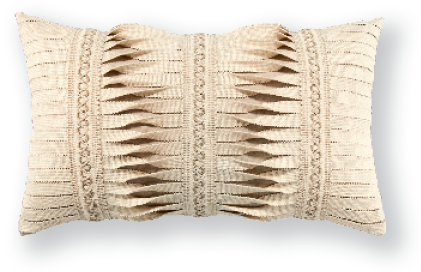 Elaine’s soft and stylish pillows are all handcrafted using sophisticated fabrics in rich colors and intricate patterns. There is something for everyone who wants their outdoor living room to be as beautiful as their indoor one. With fabrics that are created to withstand whatever children, pets and life can throw at them, Elaine has created a line of pillows that are, quite accurately, Inconceivably Outdoor. Currently, Elaine Smith Pillows are available nationwide to the trade and can be found at tradeshows in Chicago and High Point. Discerning consumers can find them at Neiman Marcus, Gump’s, Frontgate, Grandin Road, and over 1,200 other outdoor furnishings, accessory, and gift stores around the country. A favorite of interior designers and the hospitality industry, the pillows currently add the finishing touches to patio and deck settings at the St. Regis, Ritz Carlton, and several boutique properties in the U.S. The brand has been recognized by the gift and Casual industries with several awards including Merchandising Excellence Award for Accessories from the ICFA, Manufacturer Leadership Award for Complementary Casual Products from the ICFA, and Best of Category for Outstanding Visual Display from AmericasMart Atlanta. Elaine Smith is President and designer of Elaine Smith, Inc., a luxury brand of indoor/outdoor pillows which are as practical as they are beautiful. The collection is unique, combining interesting patterns, colors and textures using the highest quality fabrics and trims. Born in the Midwest, Elaine moved to England with her family where she grew up in a home surrounded by elegance and history. She worked in the jewelry industry early in her career, but took a keen interested in design, eventually moving back to the U.S. While living in South Florida, she took early influence from her parent’s antiques business when she began her pillow business in 2001. But then in 2003, the successful interior and home accessory designer discovered textiles as lush as they were tough. Their fine fibers could withstand Mother Nature and human nature, resisting sun, rain, and stains. She saw a missing element in the outdoor design market, and created what is the world’s first and only line of outdoor luxury pillows. 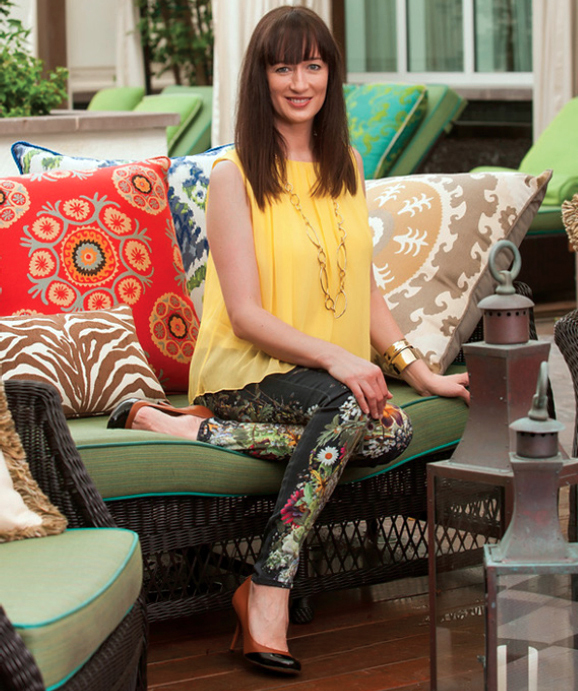 Rich in color, lavish in detail, and of course, impervious to the elements, Elaine’s first outdoor collections were such a resounding success that she decided to develop her company’s efforts into becoming the leader in this exciting category. She launched her website elainesmith. com to the trade in 2008, and her pillows are now available nationwide at over 1,200 interior and outdoor home décor locations.